The Data may be processed in hardcopy, by automated or electronic means. You can contact the Data Protection Officer at the email address privacy@ferrari.com. You can exercise the abovementioned rights by writing to Ferrari S.p.A., Via Abetone Inferiore N.4. Maranello (MO). Italy or to the email address privacy@ferrari.com. Access to and use of this web site is provided subject to the following terms and conditions. Please read them carefully, as use of this site constitutes acceptance of these terms and conditions. All material contained on this web site, and its contents, are protected also by copyright laws. b) the use and reproduction comply with the laws governing tobacco advertising in force in each country. You may not modify or redistribute to third parties any such material in any form or by any means. When the reproduction has been previously authorised in writing by Ferrari S.p.A., the use is permitted only if the source of the information has been stated, as well as complying scrupulously to the laws in force in each country governing the regulation of tobacco advertising. For the purposes of these general terms and conditions of use, User means the person who uses the services offered by media.ferrari.com website (the "Website"), both when they merely consult the information contained on the website and when they use such information in the manner permitted by these general terms and conditions. Further rules and terms may be provided by Ferrari S.p.a. (the "Company") to regulate the individual services offered on the Website. The User must comply with them in order to take advantage of offered goods and services. The Company reserves the right to make changes to these general terms and conditions of use, in which case the User shall be informed through publication on the Website. Access to the website following the modification shall imply full acceptance by the User of the new terms and conditions of use. All contents published or made available by the Company through the Website in the form of texts, articles, graphics, logos, brands, images, audio files, digital downloads, data collections, software and any other creative expression, are owned by Ferrari S.p.A. and are protected, among others, by copyright laws. Except as expressly provided for by the applicable regulations in force, the reproduction, including partial, of the Website, its characteristics (including its size, shape, color, graphics, etc. ), as well as its contents (as identified in point 5 above), in any form and by any means (electronic, mechanical, telecommunications, by means of photocopies, prints, microfilm, recordings on any magnetic media - including CD-ROM - or other), is prohibited unless the User has obtained specific prior written authorization to be granted on a case-by-case basis by Ferrari S.p.A., 4 via Abetone Inferiore, 41053 Maranello (MO), Italy. 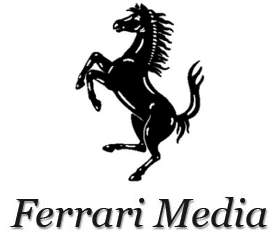 The prior and specific written authorization of the Company is waived only for the reproduction of images and videos downloadable from the Ferrari Media Center, provided that use and/or reproduction are made in full, for non-commercial uses and limited to the reproduction or publication in newspapers, magazines, televisions and other media for information and news purposes. In the case of use or reproduction of content (as detailed in paragraph 5 above) for information/news purposes and where the use of the material has been authorized in writing by Ferrari S.p.A. as specified above (a) the use and/or reproduction must be carried out in compliance with the regulations in force in each country, including with regard to the regulation on tobacco advertising; (b) the source of the material must always be mentioned (and any credits included in the material must not be altered); and (c) each material must be used without alteration or modification. Any type of modification of the aforementioned contents of the Website for whatever reason and by any means is also prohibited. The law applicable to relations arising from use of the service is the Italian law and these terms and conditions of use must also be interpreted according to such law.